Situated on the popular Finberry development is this stunning 2 bedroom semi detached home. 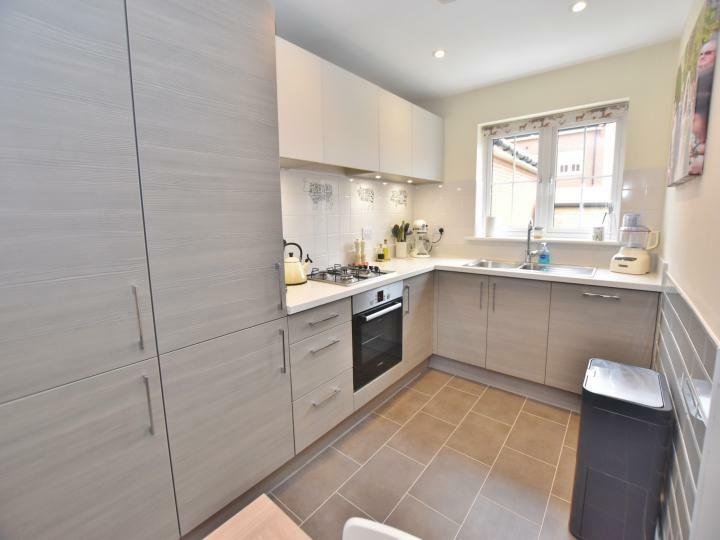 The property is offered in excellent throughout and has an amazing open plan ground floor layout. 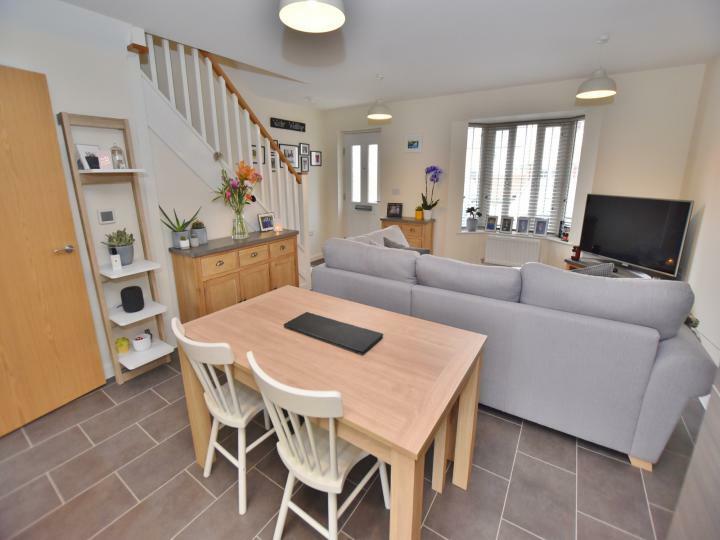 The front door opens in to the open plan ground floor area which has stairs to the first floor, understairs storage cupboard and door leading to the rear utility area. 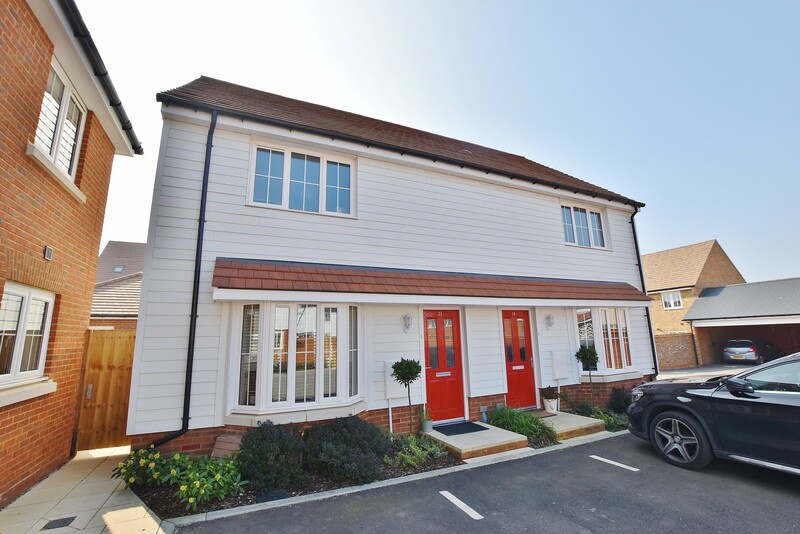 There is a feature box bay window to the front which allows plenty of light in to the room. 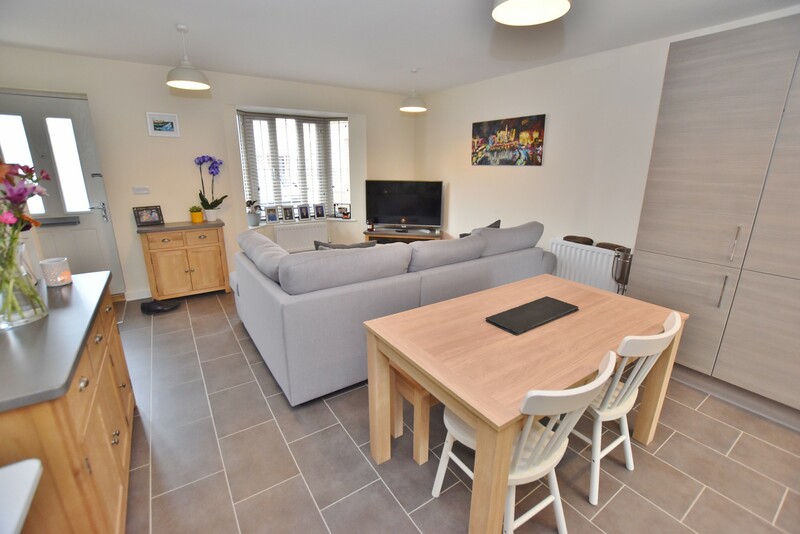 At the rear you will find the modern fitted kitchen which has an integrated fridge/freezer, dishwasher, electric oven, gas hob and extractor over. The utility room provides space for a washing machine as well as a tumble dryer and is fitted with units to match the kitchen, storage cupboard and a high level cupboard housing the modern combination heating and hot water boiler. There are doors leading to the downstairs cloakroom, which has a modern white suite, as well as the rear garden. 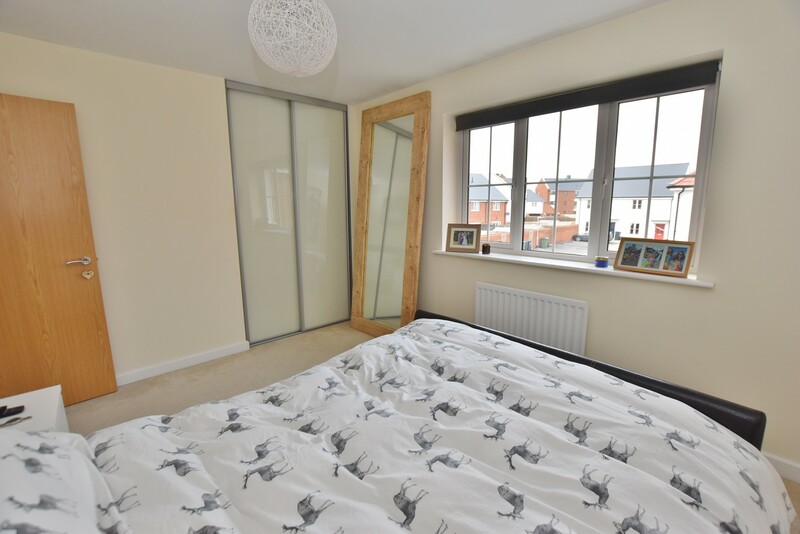 On the first floor, the landing provides access to the main bedroom which has a large walk in wardrobe, second double bedroom and the bathroom. 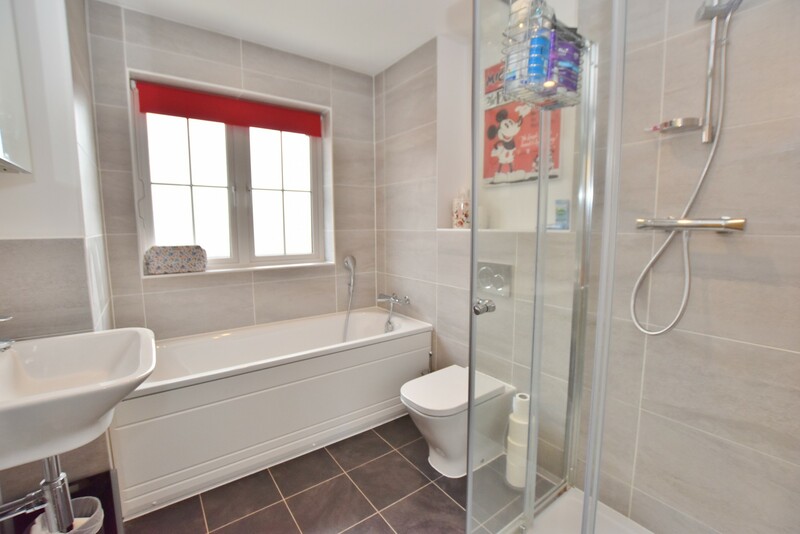 In the bathroom is a fully fitted white suite with tiled walls and a walk in shower cubicle. 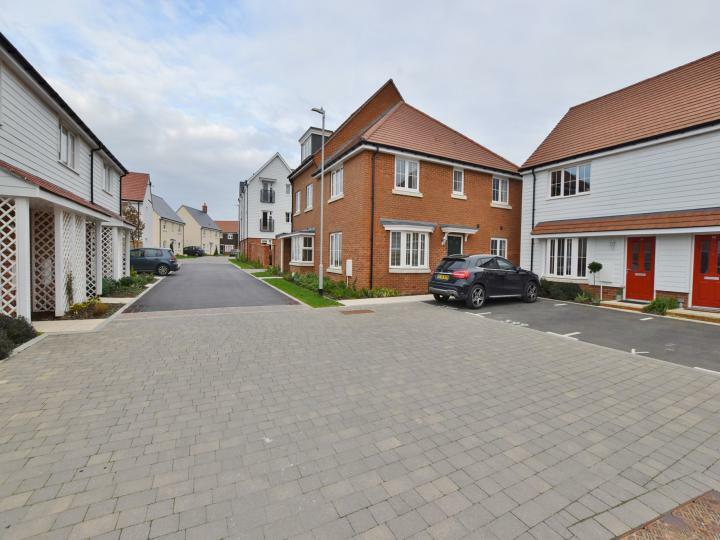 At the front of the house, the property is positioned in a quiet courtyard setting and has parking for 2 vehicles in front. 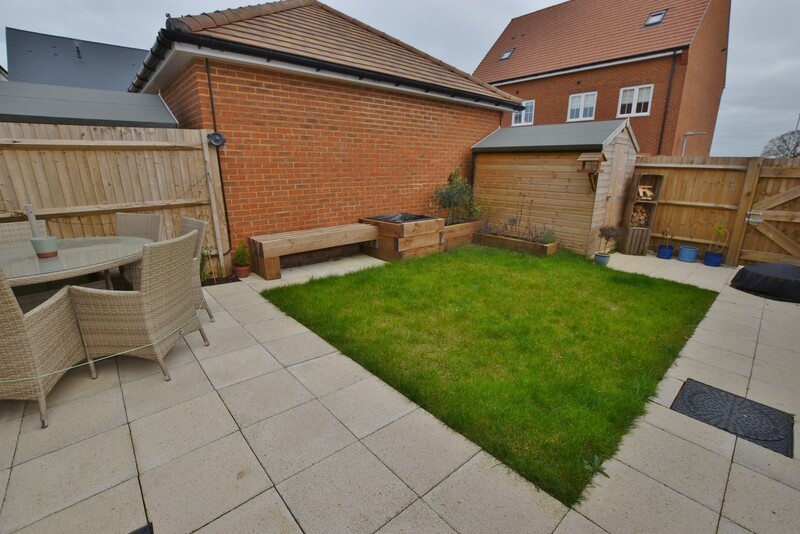 The rear garden is fully enclosed with a good size lawn area, large patio area, useful garden shed and a further gate leading to the rear. 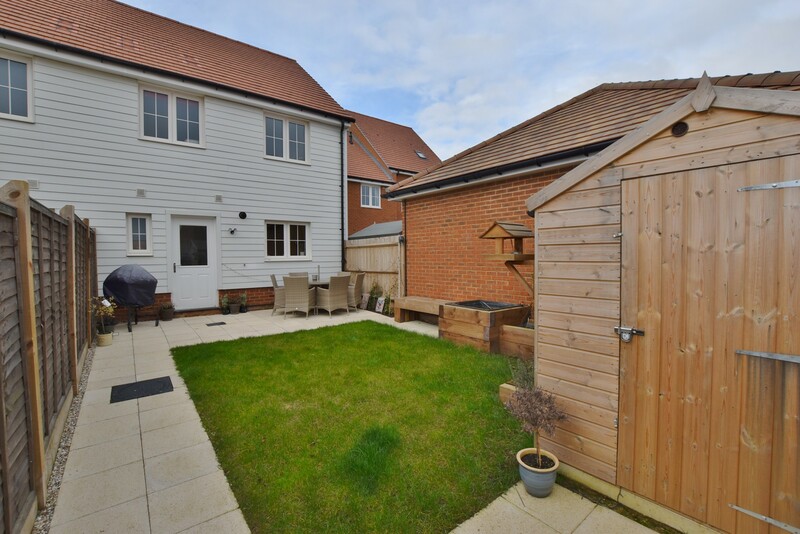 The rear garden is south facing so perfect for those sun lovers! 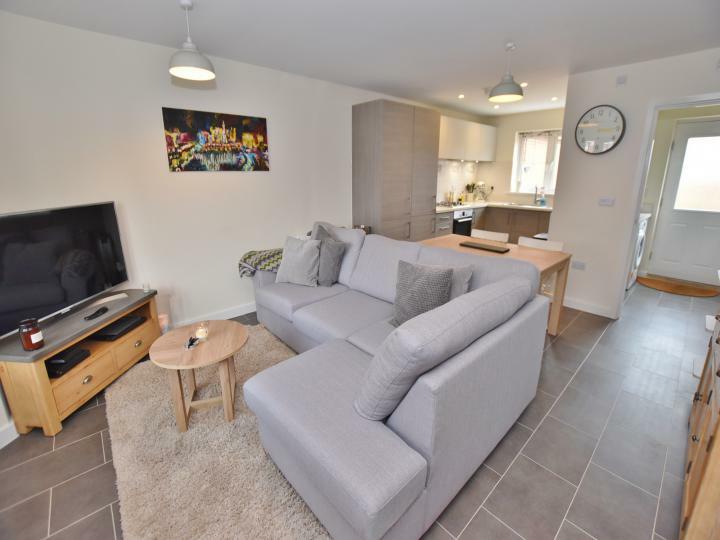 Other features to note are gas central heating, UPVC double glazing and the property offers easy access to the local primary school, nature walks and further local amenities. 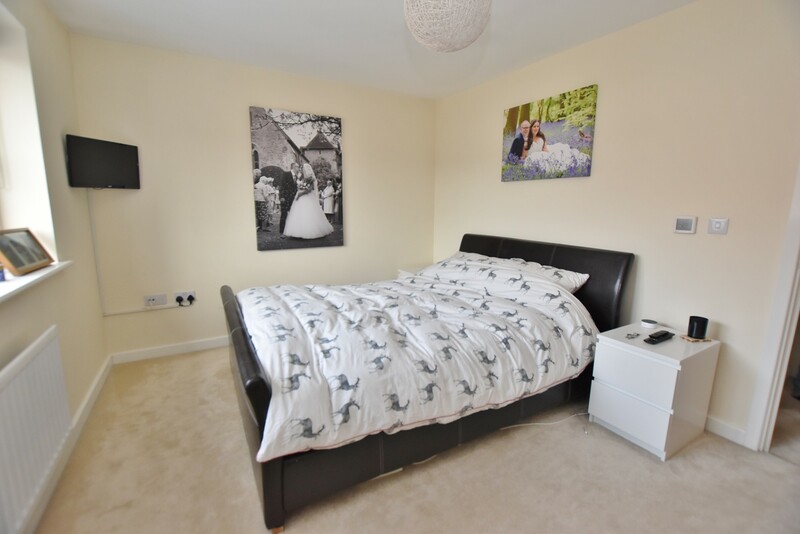 The decor throughout is neutral with carpets upstairs and gorgeous tiling throughout the ground floor.